The University of Westminster Law School is a leading provider of legal education with an international reputation. Their central London school has engaged with more than 50 law firms, chambers and professional associations to build strong working relationships. These partnerships have played a vital role in the success of Legal Skills Academy, which aims to increase law students’ employability through events, workshops and guest lectures. This event serves to thank those who have previously supported the Law School, as well as foster the opportunity to build new partnerships. The evening will feature speeches from Elizabeth Duff, Head of Westminster Law School, and alumnus Jamie Hunt (LLB Law 2005). You are more than welcome to bring guests with you – you can register via their online booking form here: https://www.eventbrite.co.uk/e/legal-skills-academy-shaping-the-next-ge…. Places are limited, so please RSVP as soon as possible to avoid disappointment. 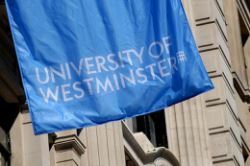 The University of Westminster looks forward to welcoming you.